Attorney Austin Gillis spoke at the Winter Conference of Superior Court Judges in Athens, Georgia. He was invited to give a presentation by Judge Poole of the Superior Court of Cobb County and was introduced by Douglas Ashworth from ICJE. Attorney Gillis gave an hour-long presentation on Motions to Dismiss (standards for granting, procedural considerations, appellate review, etc). He spoke to approximately 50 judges from across the state, got a great reception and gave out a lot of business cards. It was a really good experience. Above is a photograph Judge Schuster took of Attorney Austin and Any Saul, another former Judge Schuster law clerk who gave a presentation at the seminar. 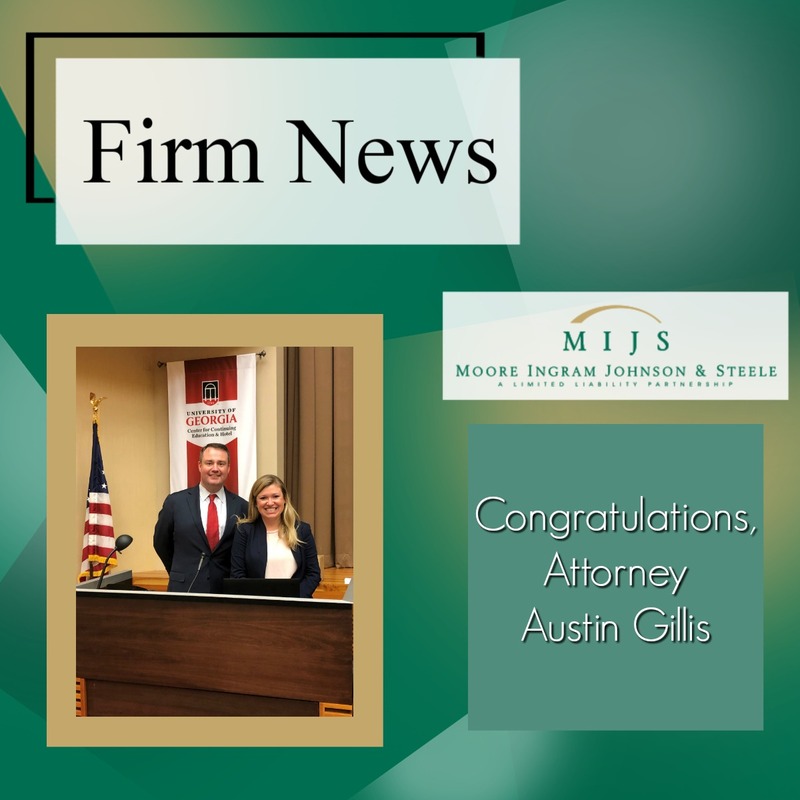 Austin Gillis joined Moore Ingram Johnson & Steele in 2013, as a member of the firm’s Litigation Department. His practice areas include Insurance/Liability Defense, Commercial Litigation, and Business Litigation. Austin is admitted to practice in Georgia and Tennessee.